Strain juice from canned mulberries, pressing through as much pulp as possible, and measure. If you use fresh berries, prepare juice by cooking berries with just enough water to keep them from burning, and strain. Sweeten to taste with sugar syrup; add grape juice, lemon juice, and chill. Fill glasses one-third full and add water or crushed ice. Note: Fresh mulberries or loganberries, as well as canned berries, may be used. FYI, that picture isn't of a mulberry. 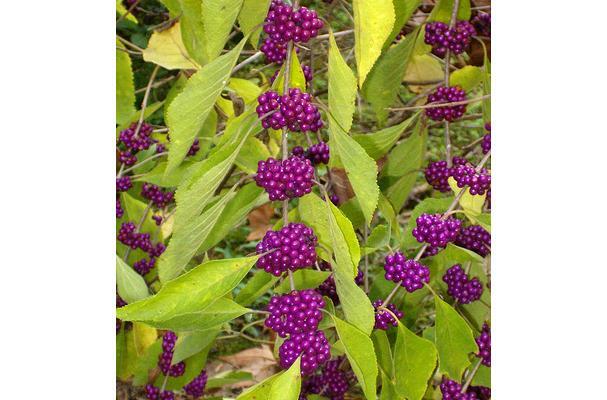 Those are American beautyberries.